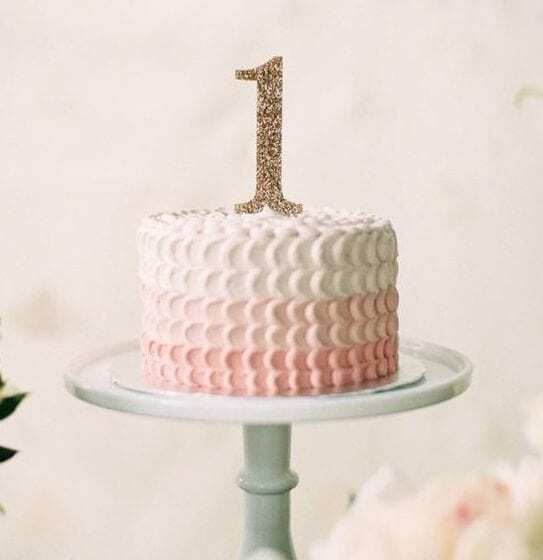 Celebrating your baby’s first birthday can be one of the most exciting events you’ll ever get to plan. I mean, just think about how much you’ve gone through over the past year. In fact it’s even more than a year, because they say babies first months start in the womb. It was basically like a rollercoaster of emotions (ooh that’s a cool theme) for both you and your new family that accumulate to one single and very exciting day. When you get passed all of your mixed emotions, you’re left with the fun parts, and that’s the party planning. 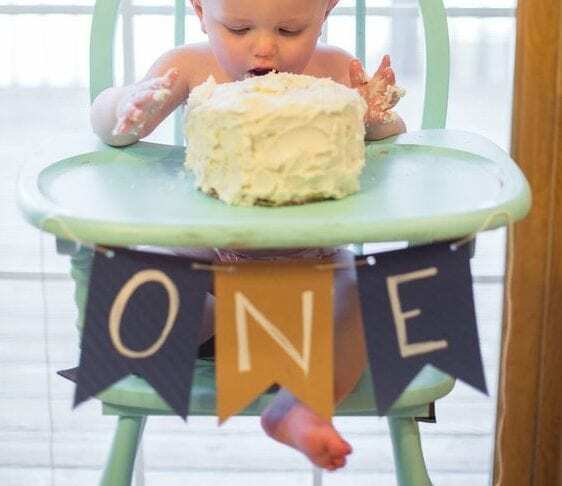 Yup, they’re just a one year old, and they probably don’t have very high standards when it comes to their own parties, but hey, it doesn’t mean they don’t get to celebrate their first year in the world! 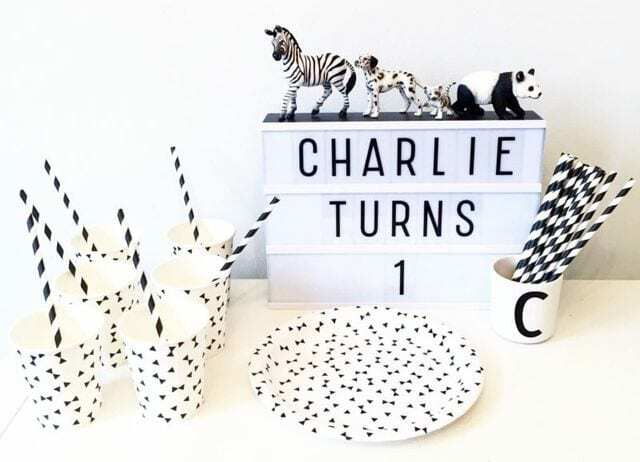 Deciding on the perfect theme for your kid can be a somewhat hard task to pull off, after all there are so many to choose from, and how well do you really know your baby after 12 months? Or in other words, how selective can your baby be when he’s only starting to express his first words and understanding the meaning of things? 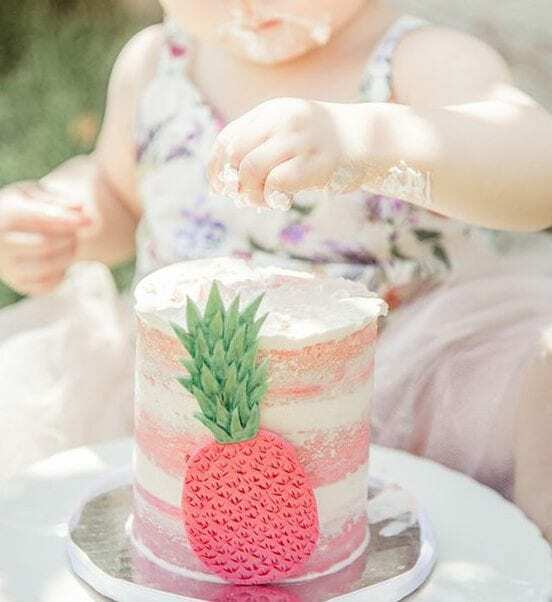 Let’s just say it out loud and get it out of the way, planning a birthday party for a one year old is really more about the parents than it is about the kids. 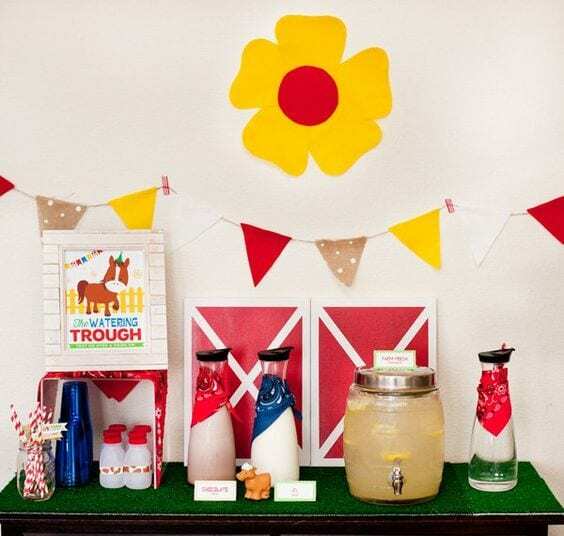 Not all of us are Pinterest savvy, and certainly not everyone is creating an inspiration board before a big event, but still, we all want to be somewhat creative without having to spend so much time nor money, we just need a little direction to know where to search for that endless inspiration. The ideas are out there, you just need to know where to look for them. 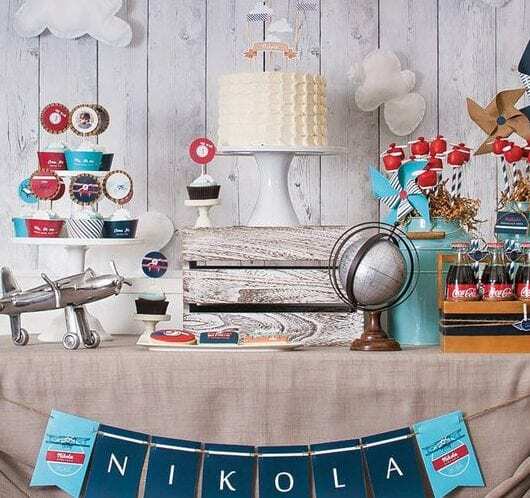 Since anything related to design and basically anything aesthetic is very close to our hearts, we’ve gathered five first birthday party themes that are not only hip and trendy, but can also appeal to both genders and with a little DIY, are also affordable. 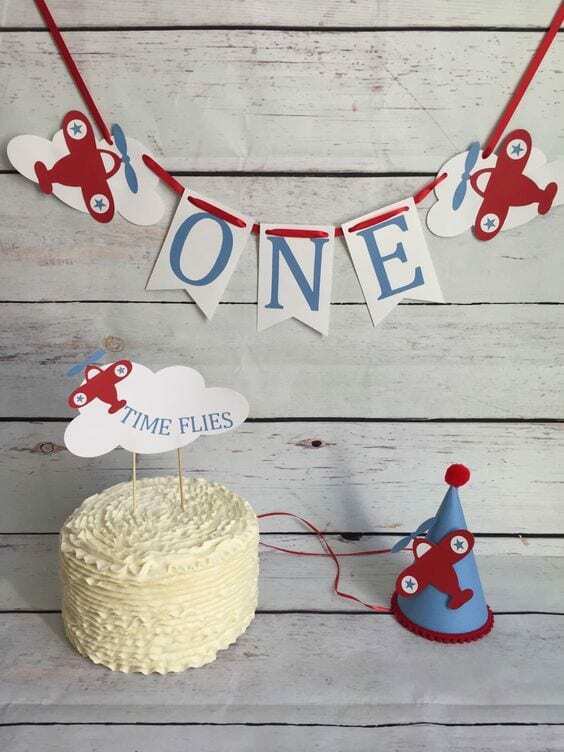 Think of it as our little Pinterest present for your baby’s first celebration. 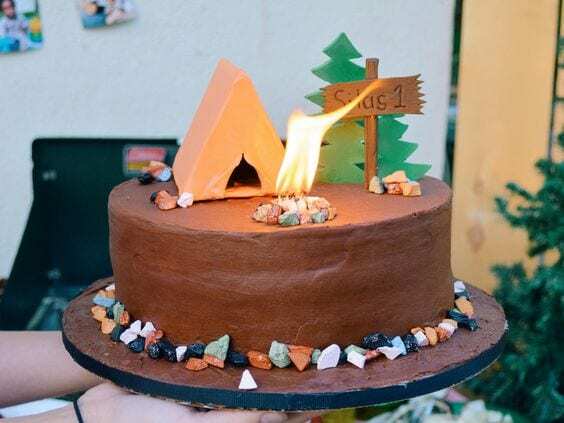 Whether you want to celebrate indoors our outside, with a camping-themed party, you can really go all out, literally. Now, we know your baby doesn’t express his wishes to go out camping at this point in his life, but you can definitely tell if he likes to be outside or not. Whether he likes to feel the grass or the sand beneath his tiny little feet. 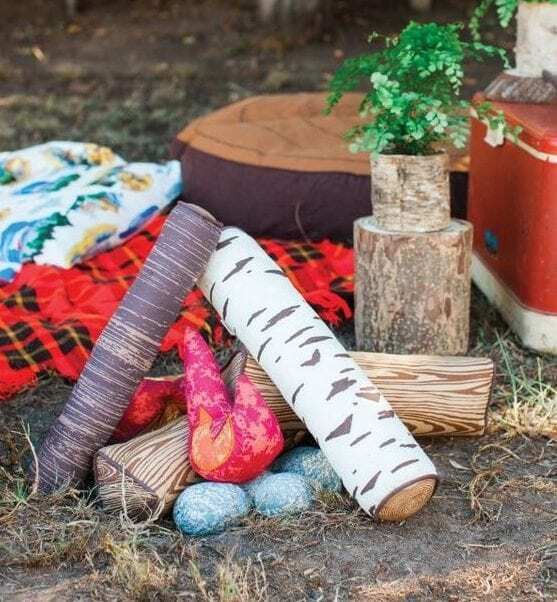 You can set up a small ‘fake’ fireplace and have tiny teepee tents spread out. 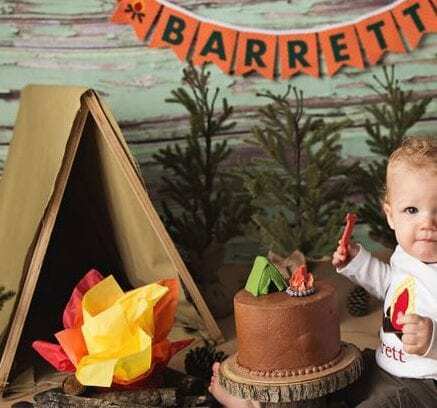 On the sweeter side, you can hand out little ‘smores as your party favors. It’s pretty much everything rustic and we love it. Which parent doesn’t own an animal book or has played the Old McDonald Had a Farm rhyme at least ten thousand times for their infants. In fact, we, as parents, have a very important job in teaching them all the animals in the world, even those we’re not really sure about their names.. 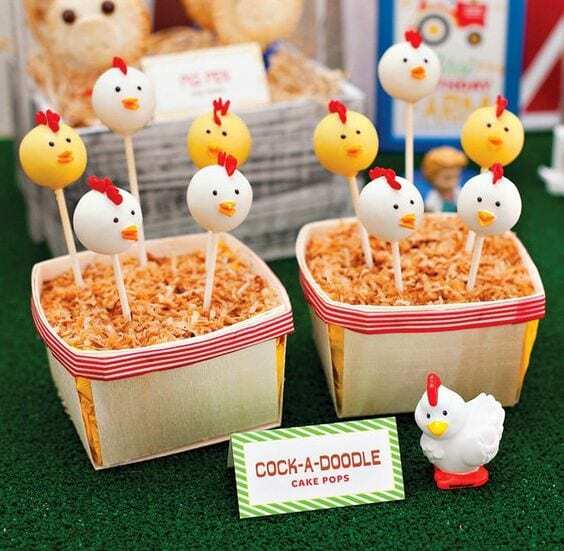 So what’s more fitting than an animal themed party for your one year old baby? Those really advanced babies can even mimic some of the animal sounds, which is pretty cool. Now with this theme you can both get all retro in the design and get very creative. Nothing is more true than the fact that ‘time flies’ in the first year of motherhood. 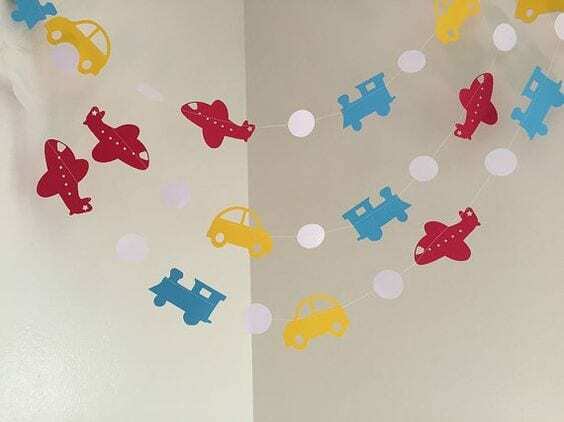 It’s like one big rollercoaster where you and your baby go through much, together and separately, that it only makes sense to have a birthday party with that concept. We don’t know about you, but the tropical trend will never get old, at least in our opinion. 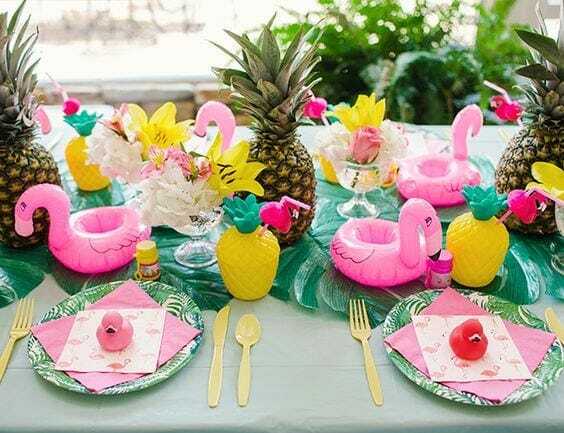 Maybe it’s the bright colorfulness or just the spirit of that whole concept, but there’s just something so fun about going tropical. Since the options are pretty much endless in terms of how creative you can get, you can really just pick on what makes you the happiest. 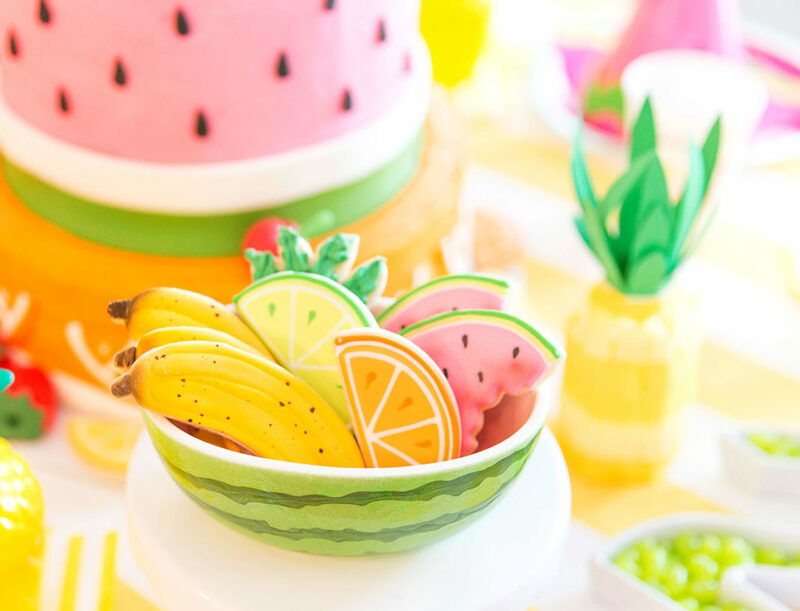 It can be the table setting, the party favors or the cake topper, either way, it’s your party, w mean your baby’s party, so it’s your choice. It also looks great in pictures. 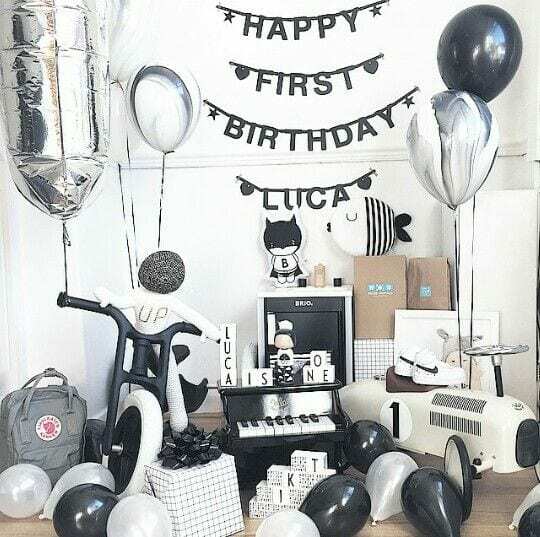 If you’re more on the low-key side of design and in life generally, then you can always go black-and-white and have a Scandinavian inspired birthday. There is something very clean and ‘mature’ about it, and it doesn’t take away from the playfulness of the whole day. 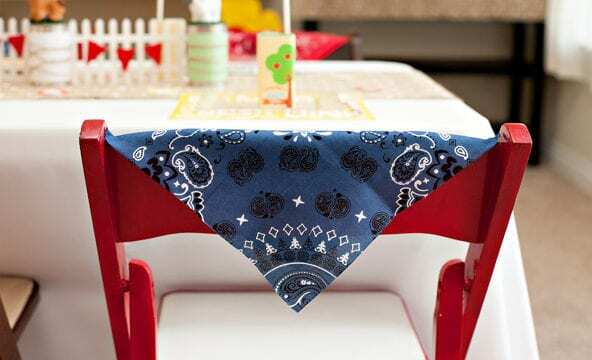 Again, the possibilities are countless, you just have to go with what fits your baby’s style best.